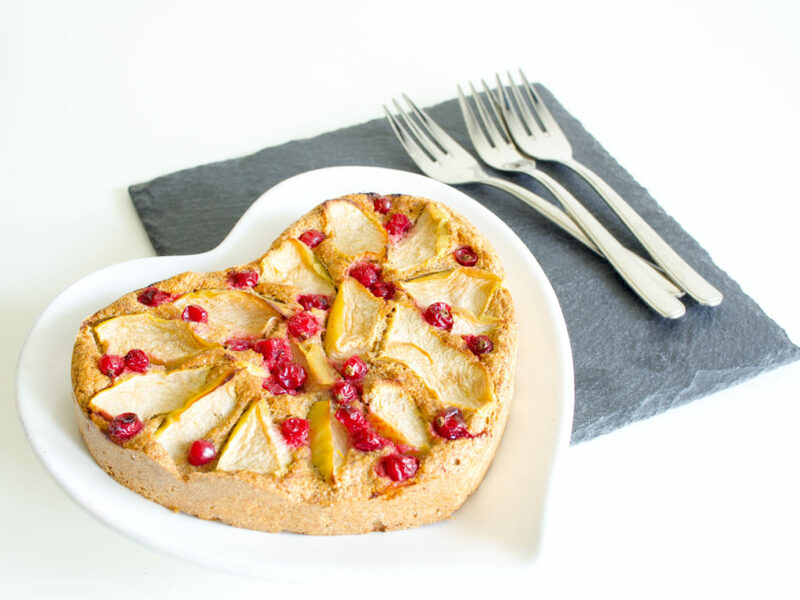 Apple chestnut almond cake - NOURISH TO PERFORM. Finally, the first freshly harvested apples! One reason why I love autumn is that it is the time of the year where nature gives you back. For me, there is nothing more satisfying than being apple to harvest and use those foods, free from any chemicals, for delicious dishes. It motivates me to experiment with new combinations and create recipes. My newest addiction is this autumn recipe using the last redcurrants, the first apples and combine them with warming spices and another autumn food: chestnut. The recipe for this perfect tea time cake can easily be made vegan by using apple sauce instead of the egg. It might not turn out that fluffy but probably even more moist and with an intense apple taste. I know – combining apples and cinnamon is nothing new but with chestnut and some sour redcurrants it is just another twist that gives this recipe its uniqueness. By adding clove, the cake somehow reminds me of the dough of the traditional Austrian Linzertorte. Speaking about Linzertorte – I thought I could do some paleo/healthy/vegan makeovers of traditional Austrian dishes. Would you like to see that? Leave me a comment below what you think! Mix dry ingredients with egg yolk and almond milk./Die trockenen Zutaten mit dem Eigelb und Mandelmilch vermengen. 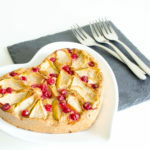 Fill the dough into a small pan or muffin tins and top with apple slices and redcurrant./Den Teig in eine kleine Form oder Muffinförmchen füllen und Apfelscheiben und Johannisbeeren darauf geben.